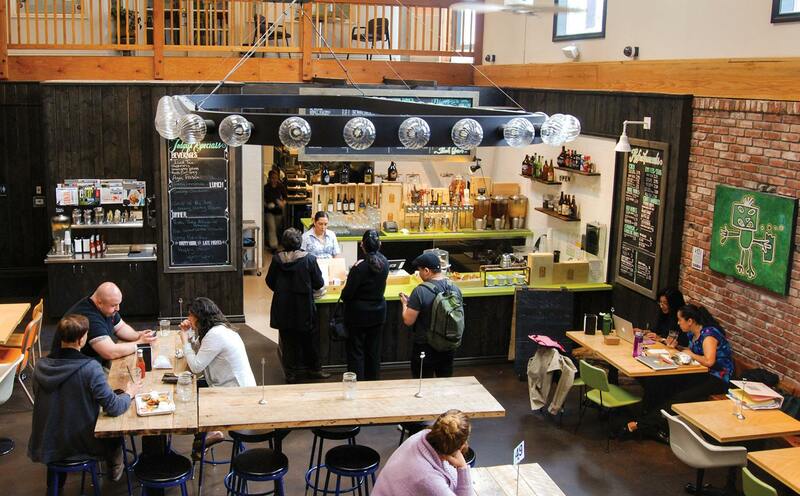 The experience at Pappas Artisanal begins before you even set foot in the restaurant. From outside the door on D Street, you hear an eclectic musical mix of hits and classic rock. As you walk inside, you see televisions tuned to popular sports news and highlights of the day while customers talk and laugh. One group of friends finishes their sandwiches and prepares to order another round of beer. Two men wearing collared shirts bearing the restaurant logo come over and greet them at the table. They introduce themselves as Matt Fong and Travis Flood, co-owners and founders of the restaurant, and thank them for visiting Pappas Artisanal. The patrons compliment the two on the meal and then settle into the next basketball game sipping their beers. And with that, Matt, 33, and Travis, 35, know that their team has left the right impression on their customers. 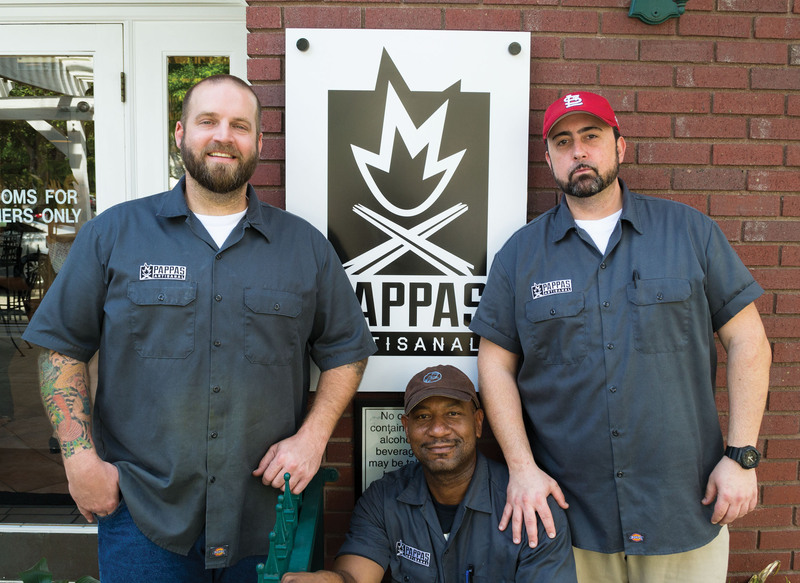 Matt and Travis were a part of several businesses before they founded Pappas. 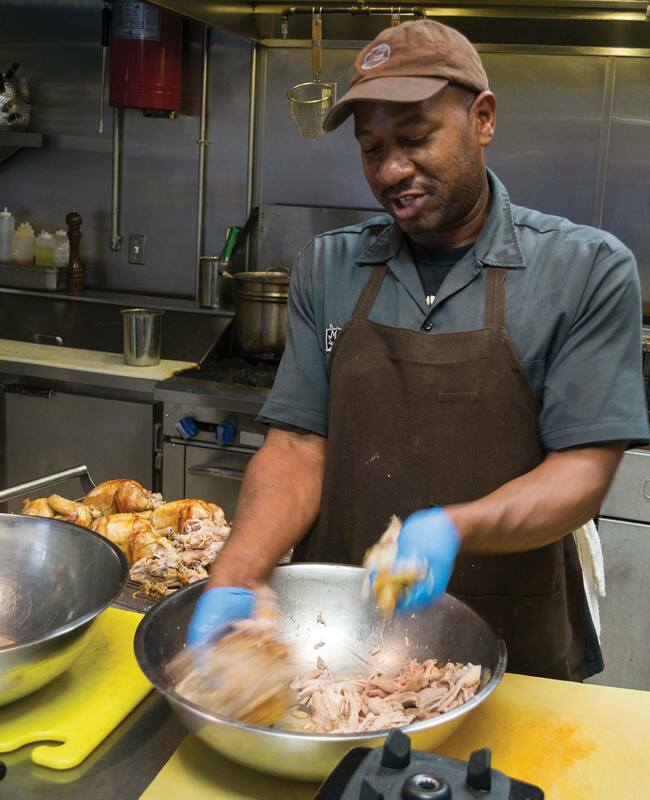 Matt had previously headed up “everything from a fashion shop in New York, to online dry cleaning and eBay stores,” while Travis worked in the food business as a chef, but “with a restaurateur’s attitude,” for more the 15 years, he says. This experience has given them a breadth of knowledge to help them in their latest venture. 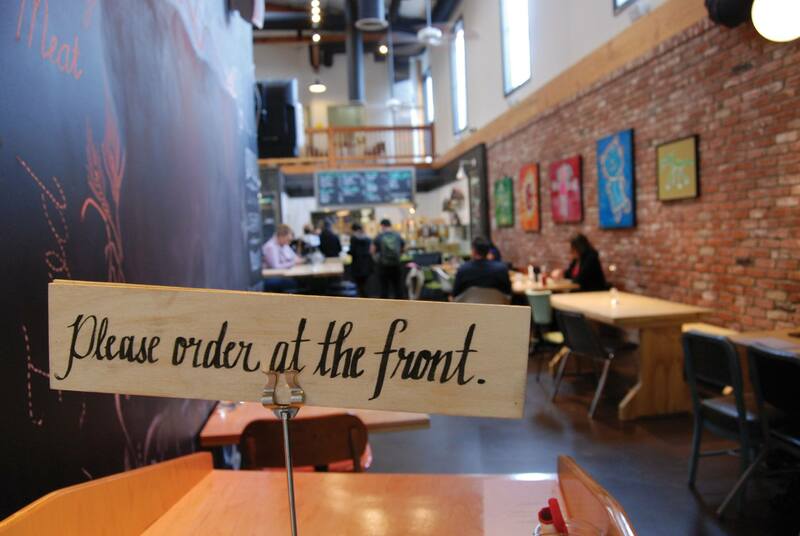 Pappas Artisanal is trying to go beyond the simple task of providing a meal. “I think that anything involved with food has got to touch on all different levels of emotions,” Matt says. “Not only are you looking at the taste of food, but we’re looking at the presentation of food, we’re looking at the way somebody feels when they walk into the restaurant.” Still, Matt and Travis realize that all the quality atmosphere and service in the world does not matter if the food at Pappas is not high quality. The two owners are consistently taking measures to ensure their menu evolves and adjusts to suit patrons’ evolving tastes. “My food is unique but familiar,” Travis says. “As head chef, it’s my job to track the big picture of the (restaurant) and the shifts that may be happening in customers’ taste palate. It’s important that we change accordingly.” One of their featured dinners in spring was the steak milanesa torta, made with breaded steak cutlet, avocado, lettuce, tomato and taqueria sauce. An altruistic attitude is at the forefront of Pappas Artisanal. The desire to provide a service to anyone who comes through their doors is something Matt and Travis take seriously, and that does not only apply to customers. Employees take free business classes hosted by the owners, which offer lessons on how to succeed further in the business world, both at Pappas Artisanal and in whatever careers the employees want to pursue in the future. In February, Pappas Artisanal had its first ever art show featuring the work of University of La Verne students. The project to host quarterly art shows came about after an agreement was reached between the art and photography departments at the school. Matt and Travis want the restaurant to be important to students. Matt admits that he and his team have been more aggressive than other owners who previously occupied the space when it comes to getting involved with the University and with the La Verne community. The art shows will continue to be held quarterly, with future shows in the summer and fall of 2014. In addition to the art gallery, the restaurant has also hosted the ULV’s poetry club’s open mic nights. The students who performed at a recent event said the ambiance of the restaurant matched the tone of their beats and rhymes, and made the place their own for the night. “Having somewhere with that kind of lighting and atmosphere really helps you feel the emotions of your poetry,” says Christian Moore, a University of La Verne sophomore and spoken word poet. “I’m debuting two new poems tonight so I’m glad that the mood is right.” Lillie is also a member of the university’s poetry club.